HGU New York, New York,United States of America. 34 East 32nd Street, NY,10016 New York, United States of America. Near Empire State Building. 1 km from city center. HGU New York is in the heart of New York, walking distance from Empire State Building and Madison Square Park. 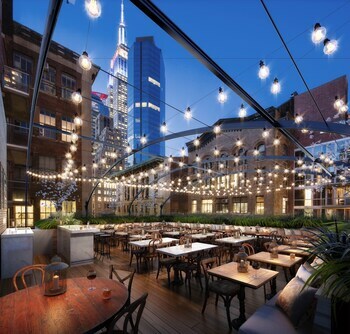 This 4-star hotel is within close proximity of Macy's and Chrysler Building. Make yourself at home in one of the 90 air-conditioned rooms featuring minibars. Complimentary wireless Internet access is available to keep you connected. 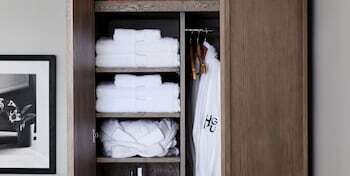 Private bathrooms have complimentary toiletries and bathrobes. Conveniences include safes and desks, and housekeeping is provided daily. Charges for extra beds may apply and vary depending on hotel policy. Government-issued photo identification and a credit card or cash deposit are required at check-in for incidental charges. Special requests (e.g. room service) are subject to availability upon check-in and may incur additional charges. Special requests cannot be guaranteed. See all reviews of "HGU New York" on Trip Advisor.